Hi young mother. I used to be like you. I sat and daydreamed about the future–not too far away, but far enough it seemed it might never come. The day when my little ones could do a lot for themselves, be in school, and I would suddenly have more time to get the things done that I would like to get done. Me time. Even just time to clean without being interrupted sounded amazing. One day, when I had only a 3 and 1 year old, I sat with a group of women in all stages of life. I was the youngest among them, and I had a reality check. We were planning an event for the youth in our church. As we discussed a date, one mom with teenagers opened up her calendar. It was FULL. I mean, full. 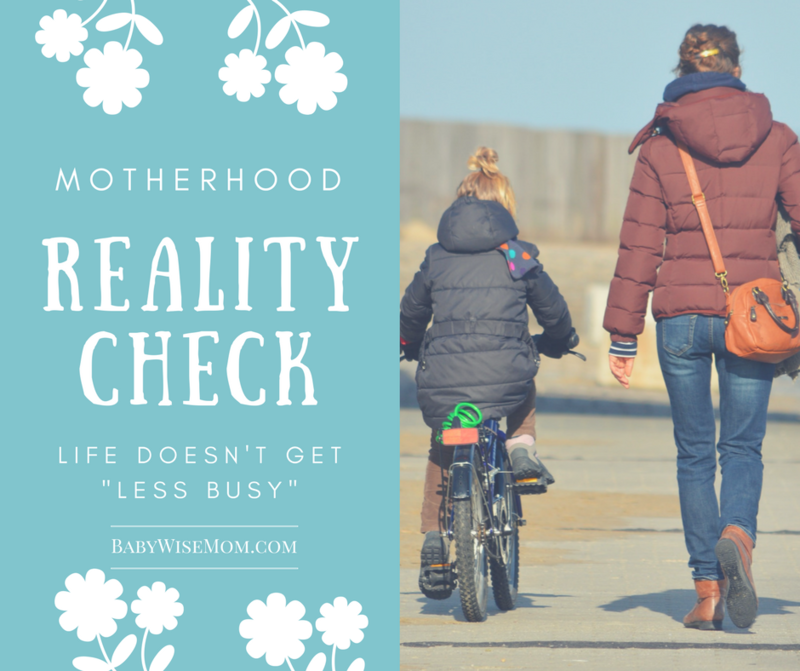 “So…you don’t get more time in your life as your kids get older?” I asked? I felt surprised and confused and wondered how that could possibly be. When your kids are all older and in school, you aren’t trading your current time with babies straight across. You don’t trade your exact time with little ones for sudden free time. The older your children get, the more time they need from you. Sure, they can wipe their own behinds and grab their own glass of water. But they need you to run them to soccer practice. They need you to go sit through their piano recitals. You will find yourself attending assemblies and helping in class. They won’t keep you up at night as they fight falling asleep or wake up to eat, but they will keep you up late needing to talk out a problem they are facing or as you wait for them to come home from a friend’s house Friday night. You will have more time in the day to do some cleaning and cooking, and good thing you do, because you will need it! The more people you have and the bigger their clothes are, the more loads of laundry you will have each week. More people means bigger meals and more dishes. When you double a recipe, you increase the time it takes to make it. You won’t be carrying your child everywhere, but you will be driving your child everywhere. Even if you heavily limit the number of items your child is involved in to one activity at a time, if you have four kids, that is four things you are adding to your week. Things that take practices, performances or competitions, and errands to purchase what is needed for that activity. 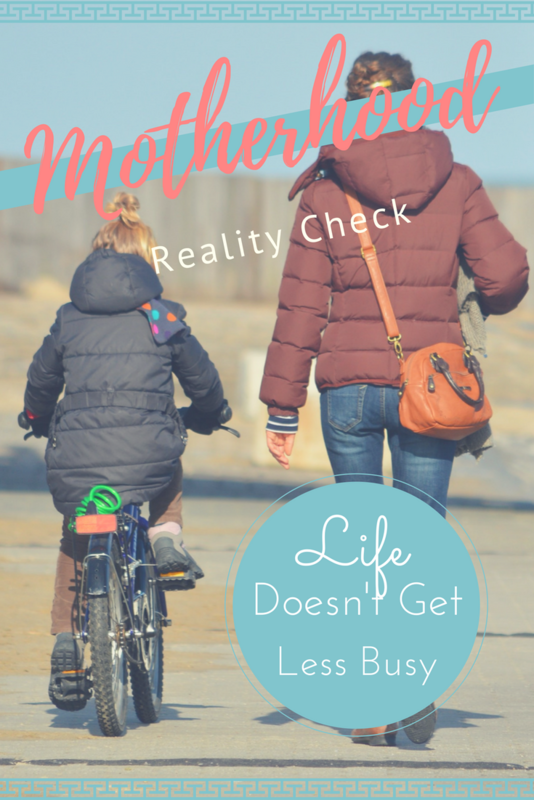 Over the years, I have had several people tell me life only gets busier as kids get older. I have been counseled to take on big volunteering jobs at the school while my children were all younger because it just gets hard as kids get older (I have heeded that advice). I have never been told that life only gets busier like I did the day I registered Brinley for Kindergarten. Friends, teachers, and even the principal at our school told me throughout the day that life only gets busier. Getting your last child in school does not lead to tons of free time. “It never slows down until they all move out” our principal shared with me. So what is the point of this? Am I trying to majorly depress you? I think this is a lesson to enjoy the moment. Do not wish your time away. Do not count away your days with young ones in hopes of having some major free time in a few years. It changes. It gets easier in some ways, harder in other ways, but never less busy. Learn to make the most of what time you have, because time is a commodity you won’t have in excess for a long time. Learn to manage, prioritize, and work with the time you are given. Live in today. Seize the moment. Enjoy what you have, because tomorrow you will have different challenges.